Talking of the committee on climate change, last year Lord Deben commissioned an entire reportto criticise something I had said. Among other howlers, it included a quotation from the IPCC but the quote had a large chunk cut from the middle. When this cut was restored the line supported me, not Lord Deben. When I pointed this out politely to Lord Deben, he refused to restore the excision and left the document unchanged on the committee’s website. Presenting quotations so they appear to mean something different from what they do is quite a sin in journalism. Apparently not in Whitehall committees. Lukewarmism is dark, fake, & deliberately deceptive. Lukewarmist thought-policing campaigns are excessively militant in their vicious drive to aggressively shut down enlightenment. Lukewarmism ends up appearing born out of dark malicious hatred of observed nature. 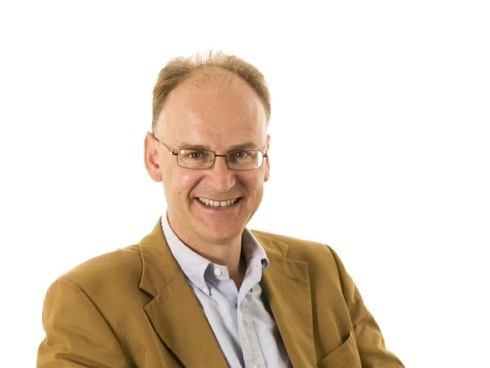 Paul: Matt Ridley isn’t trying to thought police anyone. It’s worth noting that he does give solar a mention in his article, without telling anyone what to think about that. He’s also open to discussing solar related theories. He asked some intelligent questions at Henrik Svensmark’s lecture last November, and has been in contact with me so I can supply him with relevant papers. He had been misled to believe that solar doesn’t correlate with surface temperature, and is now aware there is more to the issue than meets the eye. Our unrecognized assumption about dispute resolution in general, not just vis-a-vis the climate debate, is that the disputants are rational beings seeking rational ways to find common ground and truth. Reason is supposed to prevail, not emotions. Why? Because we had a revolution in thinking a couple of centuries ago in Europe. Intellectuals determined that the better way to truth was through logic, making expectation match observation. And thus the Church fell down. So did reliance on the Ancient Greeks. But is that the way we are built? Are we, inside, prone to that or do we express ourselves like that because, socially, we are encouraged to do so? I’d say the latter. We think rationally and speak rationally when the disconnect between the world and our belief becomes too large in the community for us to avoid censure. Until then, we think and speak as our emotions drive us. We don’t like to think of ourselves this way. But we have no problem if we think of those in “less developed” societies. They do and say “crazy” things all the time, we “know”. “That guy tried to kill you the other day, and now you are friends,” Croucher says to one of them. The “less developed” understand human nature better than the “more developed”, an irony of ironies. It is only the European raised in a culture where he is supposed to behave through the exercise of reason and not emotion – or ego, which is emotion based – that finds this “bizarre”. Reasoning is an imposed way of doing things, artificial and new. This is what I see as the basis of the climate dispute (and, actually, the extreme Islam-West cultural dispute also). The Bill McKibbens and Bob Wards are seized emotionally. There is enough wiggle room in what the authorities say (the IPCC no less than the Bible or the Quran) that observation doesn’t have to match expectation. Reason is not necessary to come to a conclusion, and since it is not necessary, the emotional, internal tendency prevails. The warmists don’t understand what is going on, and even if they could, unlike the Iraqi in Croucher’s tale, they wouldn’t be able to admit that their emotional state was in charge. The Iraqi, to his credit, recognizes that the moment was a moment. The McKibbens and Wards can’t; they see themselves as purely rational beings. If they think something is outrageous, it isn’t outrageous right now, and not later, but universally and forever outrageous. They can’t back down or admit otherwise. Lukewarmers are attacked as much as outright skeptics by the warmists because the dispute is not based on reason. There is too much “wiggle room” to kick out the emotional drive. It is telling to me that in the 28 years of research the IPCC still have less-than-nothing to planetary catastrophe range – and that the public, not just the politicians, don’t find that unacceptable. Somehow we are to believe that mathematically driven scenarios that are mostly linear for the next 85 years can jump from the bottom of the line to the top of the line. Why, if reason prevails, doesn’t that demolish the whole CAGW narrative? Because reason doesn’t have to prevail. Emotions are sufficient. It is of interest that Ridley notes skeptics and lukewarmers do not shriek and attack the warmists to the extent the warmists do the skeptics and lukewarmers. In this reason vs emotion view, it is because they are driven by reasoning, not emotion. The anti-CAGW crowd is focused on graphs and equations. Even if they are outraged by the collateral damage of the IPCC story, their arguments are with CAGW stories based on numbers. Numbers have no emotional content. Numbers are about process, not outcome. 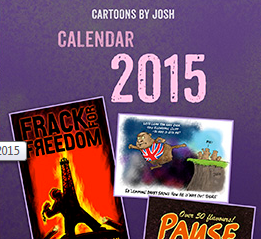 Only outcome – the warmist stories of death, destruction and loss – has emotional content. And that will be it, over. @Matt Ridley, It is good to see that you have ventured partially out into the light of wisdom. Those the preach darkness and disaster hate it when someone questions their visions of gloom. Perhaps some day you will see the whole truth of climate change and mans insignificance. My journey was very similar. I grew up assuming that the enviro-apocalyse was well nigh. Then that little quiet voice in the back of my mind, so to speak, got loud enough for me to notice that the apocalyse never actually happened. This journey away from enviro-apocalypse has been happening to many people over many years. Look up “The Doomsday Syndrome”. Look up “The Apocalyptics”. Take a peak at Climate Resistance blog for some amazing observations and commentary on this phenomenon. Thank you for having the guts to stand up on this issue. Matt as long as you don’t try to control my life I don’t care about you being a confessed lukewarmer. Warmist are want to control people and that is why they get mad when they meet resistance. This is now and has always been about control. While Matt Ridley is to be congratulated on his move away from the Chicken Little ‘the sky is falling’ position I still wonder why he sticks to the man made mantra. So far there has not been any verifiable concrete proof that man is responsible for the warming that is not beyond what could be expected from the earth moving on from the little ice age. By verifiable I mean would stand up to standard industrial engineering analysis. Actually, the interesting bit is the fact that he is anti-coal – for no reason. but the similarities extend to names of spouses, majors in college, hobbies, names of children…there is absolutely no mechanism for genes to express themselves in the choosing of a major or naming of children. I am slowly becoming less of lukewarmer. I never thought there was any danger. But I did think one could terraform Mars with greenhouse gases. Ted Turner, no one imagines is possible] it would be a problem. be a problem. Or without careful measurement most people would not notice [nevermind, be affected by such changes] We simply have freak storms or such changes temperatures which do effective cause these to happen- and it’s not the end of the world. Yes such global warming would affect some skiing businesses. But imporvement of technology related to skiing has improve ski condition more than the 5 C global warmer would diminish. something action which could be in the category of extraordinary. So for example we might need to spend a trillion dollar for a solar shade and get it built without 10 or 20 years. But why is that any more frightening that US government adding a trillion deficit every year? And why don’t the crazy warmists ever suggest going into to space. 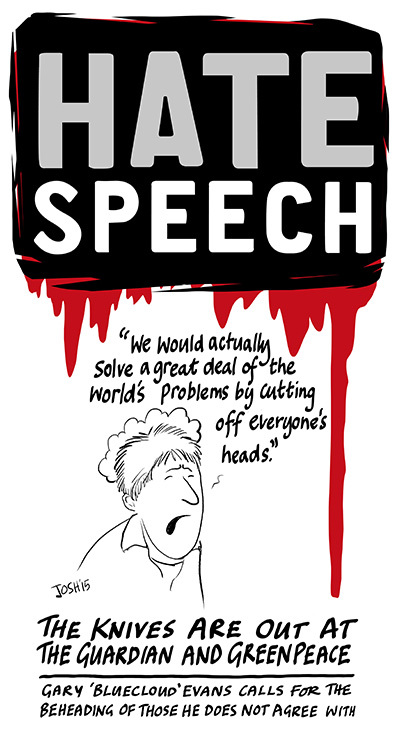 All doom based sfi thinks that is a solution. Firefly when to another star system because Earth was too badly polluted, etc. Crazy premise as was Matrix and it’s blacken earth sky and living near Earth core [and why was Earth important to the AI- must not got meme that robot exploration is cheaper than manned]. cause some insignificant amount of warming. Of course if CO2 were considered important the entire discussion would about Chinese CO2 emission- a clue that the alarmist not even alarmists- they are really dumb and/or posers. Like all professional scientists and engineers I did a sniff test and an energy balance when looking at IPCC ‘Science’. Sniff test: if the Earth’s surface were to heat local (~20 m) air at the claimed mean 157.5 W/m^2*, its temperature must be ~ 0 deg C** – averaged OVER THE WHOLE PLANET; colder than at any time in the past 444 million years. It’s really near surface temperature, kept there by the convection that maintains ‘lapse rate’. Houghton showed why in 1977***. He then apparently gave up Science to co-found the IPCC. In 2005, Hansen bemoaned the fact they had no measurements of local air temperature, apparently realising vulnerability to clear thinking opposition asking ‘Where’s the Beef?’. There is no Beef. Conclusion: Climate Alchemy Stinks; unfit for UN consumption. Energy Balance: Hansen et al in 1981 claimed an imaginary -18 deg C ‘OLR’ emission zone emitting over 360 degrees in the upper atmosphere, radiating 238.5 W/m^2 Up and Down, This was in effect a ‘bait and switch’, exchanging real 238.5 W/m^2 with imaginary 333 W/m^2 ‘back radiation’; 40% increase. They did another numerical trick in hindcasting to purport extra evaporation from oceans. His claims to Congress in 1988 were all based on ‘modelling artefacts’. * ‘Clear Sky Atmospheric Greenhouse Factor’. ** Assumes 0.75 atmospheric Emissivity for 238.5 W/m^2 Emittance. *** Figure 2.5 of the 1977 edition of ‘Physics of Atmospheres’. In the days of IS, it is remarkable that the Guardian deleted a reasoned comment from @RichardTol and left in two recommending my beheading. Interpolation between (a) wrong & (b) wrong ….is wrong. For political purposes lukewarmists interpolate between (a) egregious misrepresentations of nature & (b) baseless model fantasy. It’s all about inspiring people to approach the american political center fence from the other side. In this sense, Doug (Doug Proctor January 22, 2015 at 6:14 pm), they are being completely logical — and calculatedly so, so you’re not giving them enough credit for being logical. You (Doug) are of course correct about their application of emotive force — they apply it logically in cold pursuit of a political objective. Their axiomatic framework is logical, but its rooted in political pragmatism, not climate observations. TB, I’m not suggesting Ridley is thought-policing, but lukewarmism as a collective movement does so and devilishly. He appears to have succumbed to the brainwashing: people “went too far” (!!) by stating the truth. He’s incompetent on the sun-climate file. If you think you can help him Rog, by all means please try, but I’m of the view that if people (Ridley or anyone else) cannot understand deeply firsthand, their views are irrelevant. I don’t have an issue with Ridley. He may be a good & fine man. My issue is with lukewarism. Lukewarmism is an interpolation between (a) wrong & (b) wrong. I think many alarmists are good, well-intending people. Most lukewarmists, however, are not. They are cold, calculating, devilish agents of hateful coercion. They’re not the innocent bunch the alarmists are, so they need to be dealt with an order of magnitude more squarely and firmly, the way you deal with someone who’s alertly & sharply weaseling in any & every way possible to be intently devious. In the short-term, lukewarmism can probably fool enough people to maybe help win some elections. In the long run, the lukewarmists are guaranteed to be lose because interpolation between wrong & wrong isn’t right. Take the devil out of lukewarmism. By “the devil” I of course mean devilish misrepresentation of the role of sun in climate. I flatly & harshly reject lukewarmism as a darkly corrupt, politically-motivated philosophy not on the grounds that it overstates the role of CO2 in climate (I don’t really give a sh*t about that) but rather on the grounds that its agents refuse to acknowledge sun-climate 1+1=2. Nature is beautiful & powerful. She deserves our appreciation & respect. We’re wise to harmonize with natural power & beauty. Paul: Great comment, and it clarifies your position well. Have to agree 100% there Paul and that stance is well put. Meanwhile, Richard Tol’s comment is deleted. I emailed Scott Trust board member Emily Bell about this. I was rather shocked to note a ‘Guardian’ author, Gary Evans, publishing a call (penned by himself), for Viscount Matt Ridley’s beheading. This is a bit thuggish isn’t it? Or ISILish perhaps? The comment from ‘bluecloud’ has since been removed. I am happy keeping Gary Evans alive as placeholder for a human being. But if you are Lefty one is forced to position of wanting to commit suicide or murdering people. That is serious “error” or design feature of the lefty’s belief system. The Guardian climate blogs went off the rails years ago – probably after Climategate exposed the methods and thinking behind climate science propaganda. Don’t go there unless you want to swim with their propaganda tide. Breitbart reporting the ‘Bluecloud’ fiasco. Brainstormer: Is this thermo-acoustic laminar flow engine suggestive of solar processes?